The USS Cole was participating in the Connecticut Maritime Heritage Festival this past weekend in New London, Connecticut. 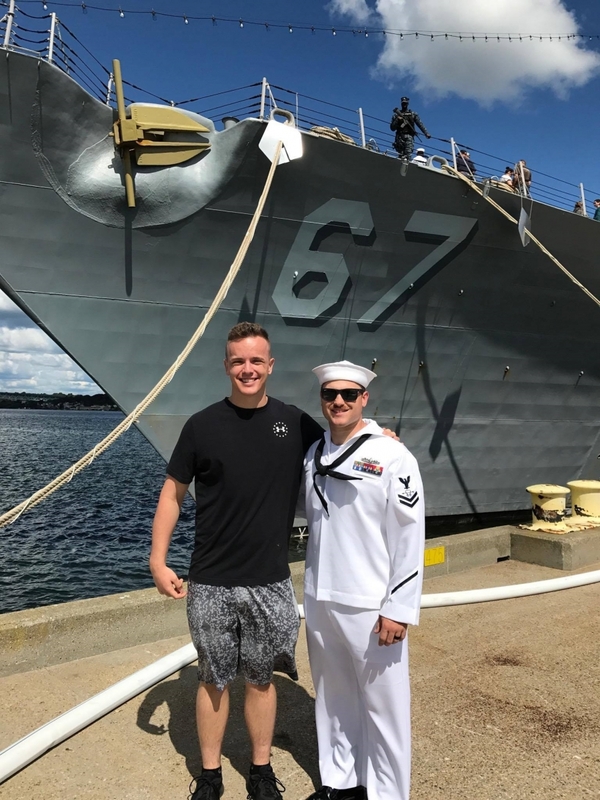 ETNAV3 Noah Oser (class of 2016) is stationed in Groton, CT attending Sub School - Navigation. STG2SW Patrick Pennington (class of 2011) is currently assigned to the USS Cole and was able to take Noah and six of his classmates on a tour of the ship, while it was open to the public. The USS Cole is an Arleigh Burke class destroyer that was bombed in Yemen in October of 2000. The galley and surrounding work areas, as well as sleeping quarters, were severely damaged in the blast. The mess hall and adjoining passageway are now a memorial to the 17 sailors who lost their lives that day. The area is now known as the Hall of Heroes.